As bad as the Fyre Festival debacle was, it seems to be having a certain positive ripple affecting festivals across the globe. The massive boom in popularity of the electronic music scene has seen some festivals and parties become a mess of ill behavior and reprehensible conduct. Burning Man – though not strictly an electronic festival, and truly so much more than a musical gathering – has similarly taken steps in an effort to prevent the rich and famous from taking advantage of cultural events created for the community. In response to some serious complaints from Burning Man 2018 attendees, CEO Marian Goodell took to The Burning Man Journal to announce some widespread cultural changes. One of the most distressing trends is the increase of participants (both new and experienced) who don’t seem invested in co-creating Black Rock City, and are attending as consumers. Mass consumption in our default world, ticket scarcity and some elaborate luxury camps have contributed to the rise of a playa “convenience culture.” In some cases, camps or companies are offering “all inclusive” pre-packaged Burning Man experiences, claiming they will preemptively meet all of their client’s needs. Burning Man is anything but convenient, and therein lies its transformative potential! Without a doubt, this is an excellent case of taking initiative to appreciate those who build, and denounce those who simply show up and exemplify their wealth just to use facilities and take advantage of an event built by other attendees. The “convenience culture” is not how Black Rock city should function. Following last year’s gathering in Black Rock City, the organization registered numerous complaints regarding the negative cultural aspects of the Burning Man Culture & Black Rock City. An alarming theme was one that surfaced several months earlier with the exploitation of Fyre Festival: false promises and a superficial culture. A planned change in culture was first announced the Project Citizenship in 2017. This project communicated a set of values that the event, and attendees, should hold true. However, voicing these values doesn’t necessarily result in change, so action must be taken. The first change made, as Goodell explains, is in regards to ticket sales. The shift is in an effort to support economic diversity and reduce factors that resulted in a “convenience culture”. Initiatives taken include expanding low income ticket allocation, adjusting high-priced ticket sales, and eliminating the ‘limited sale’. Additionally, for the first time in the event’s history, a Black Rock City camp has been publicly uninvited. A camp named Humano gained a seriously bad reputation in recent years (just check out this horrible reddit thread) and Goodell was not afraid to take action. Overpriced accommodations and models promoting the camp – sound familiar? Humano’s camp offered accommodations starting at $25,000 for a 160 sq. ft. “Single Bedouin Tent” that featured a minibar and AC. Humano’s offerings – which came with some lovely health hazards – went as high as $100,000, according to a report by Mashable. If you are familiar with the Burning Man ethos and how the on-playa community works, it’s clear that a glaring pay-for-play camp goes completely against Burning Man cultural standards. In recent years, these plug-and-play camps where rich individuals pay for their time in the dust have become more popular – to much of Burning Man attendees’ dismay. Thankfully, the Burning Man organization is finally addressing, and putting a stop, to this. Another significant announcement made outlined changes to the Outside Services Program, which helps groups build large projects and camps in a timely fashion. The program is often overused for plug-and-play camps that have OSS companies build their camps entirely for them and are shady about their permitting and the camps that have hired them. Thus, the BM Org is cracking down even further on what companies will be allowed entry this year. 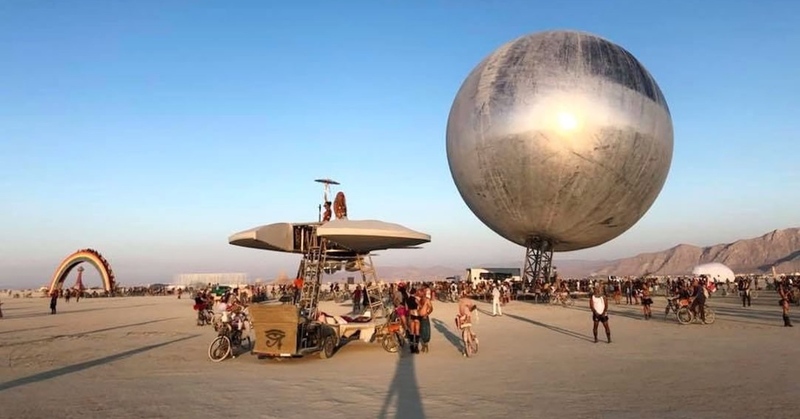 For the 2019 event, Burning Man will reveal the name of service providers who “have a history of not being forthright in their communications and/or failing to obtain required permits”. Ouch. All in all, Goodell’s announcement is a significant step in further repairing the culture of Black Rock City. Its not enough to merely communicate changes, either; it’s important to act on them. Goodell’s ability to act on a need for change, and the industry’s growing weariness of false promises, will undoubtedly be a positive ripple in Burning Man 2019’s culture.